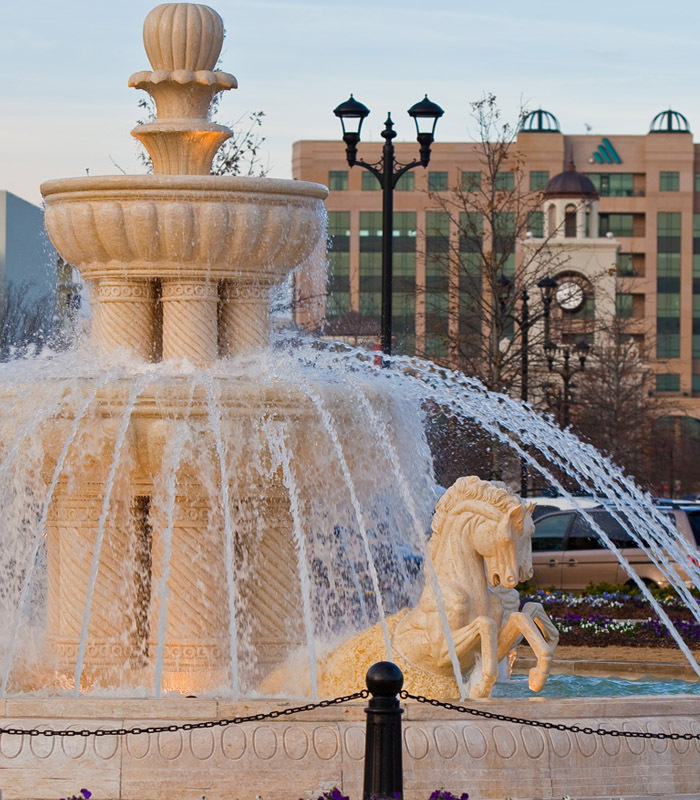 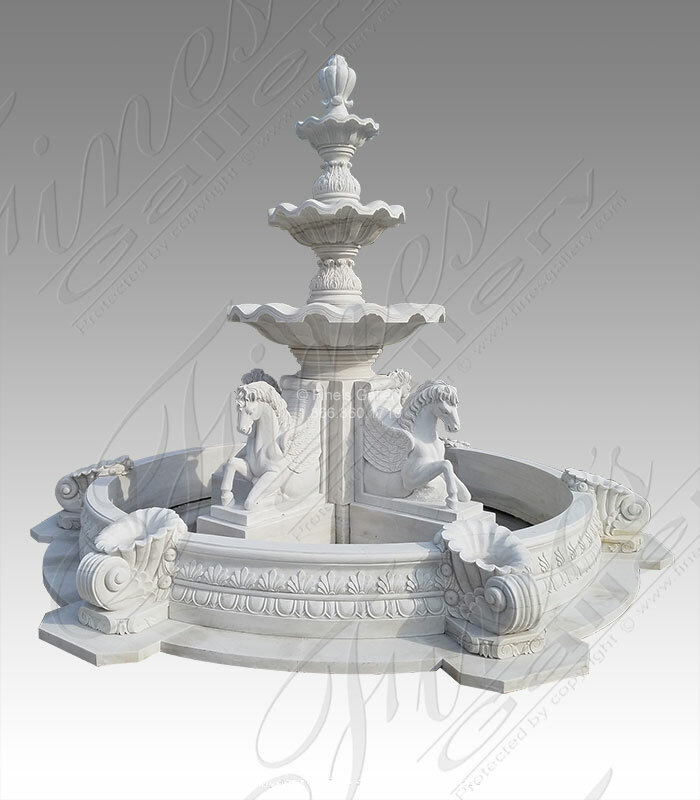 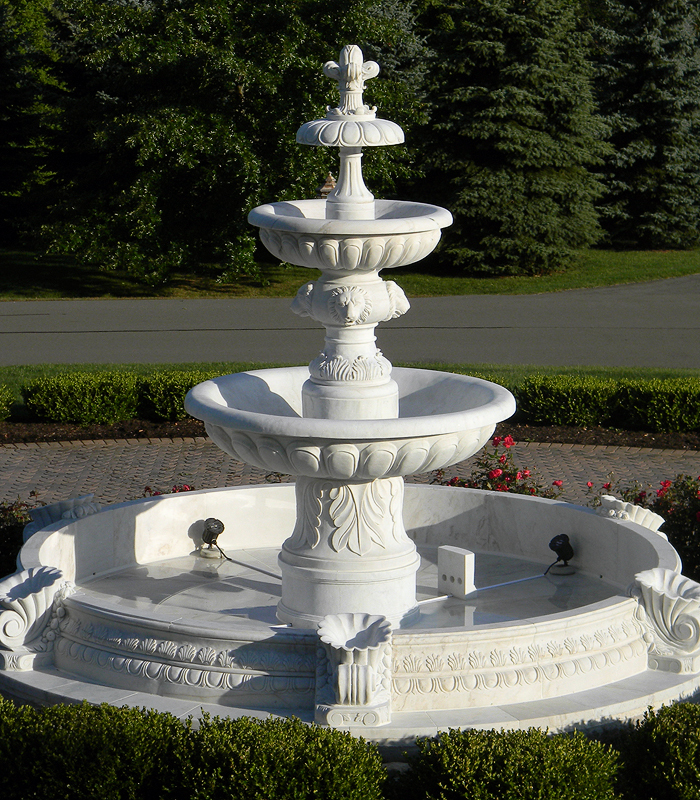 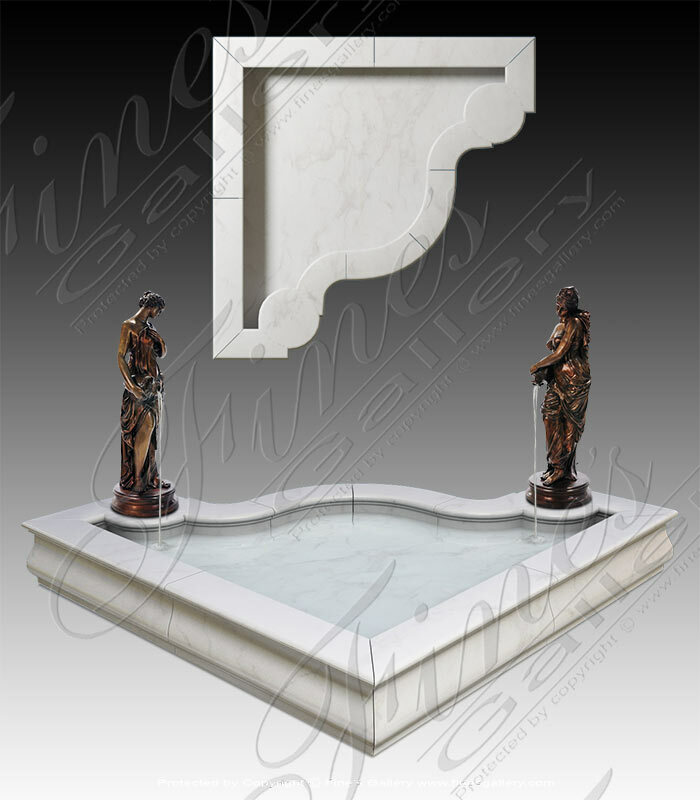 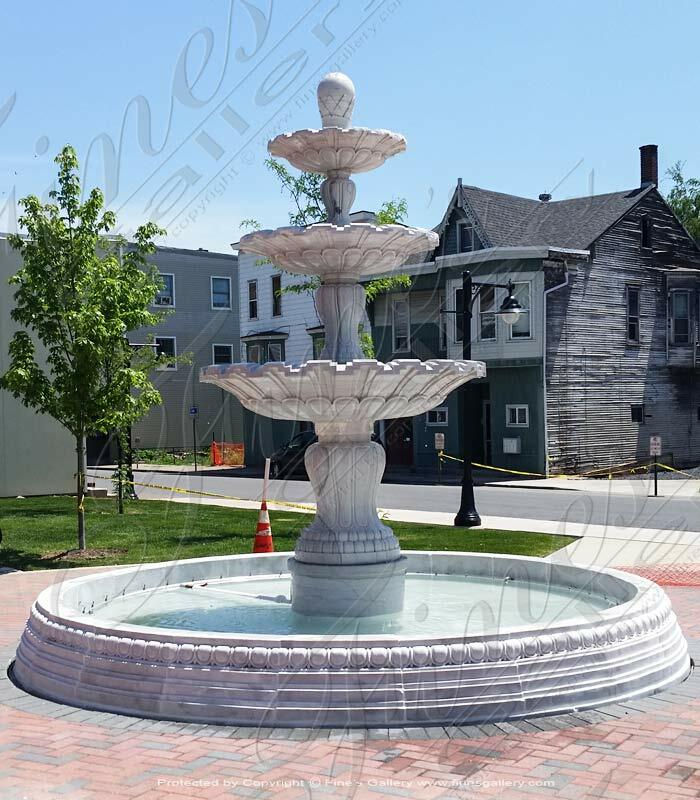 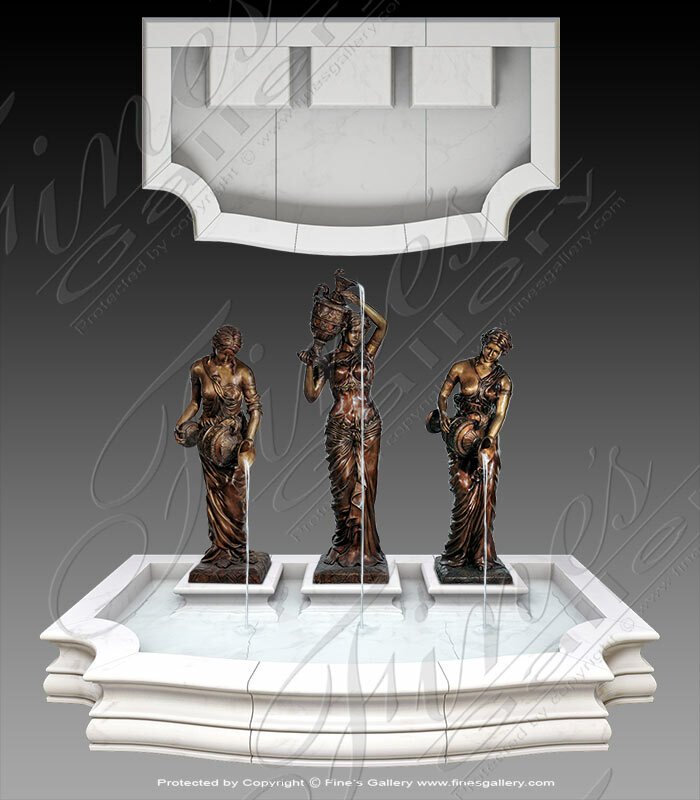 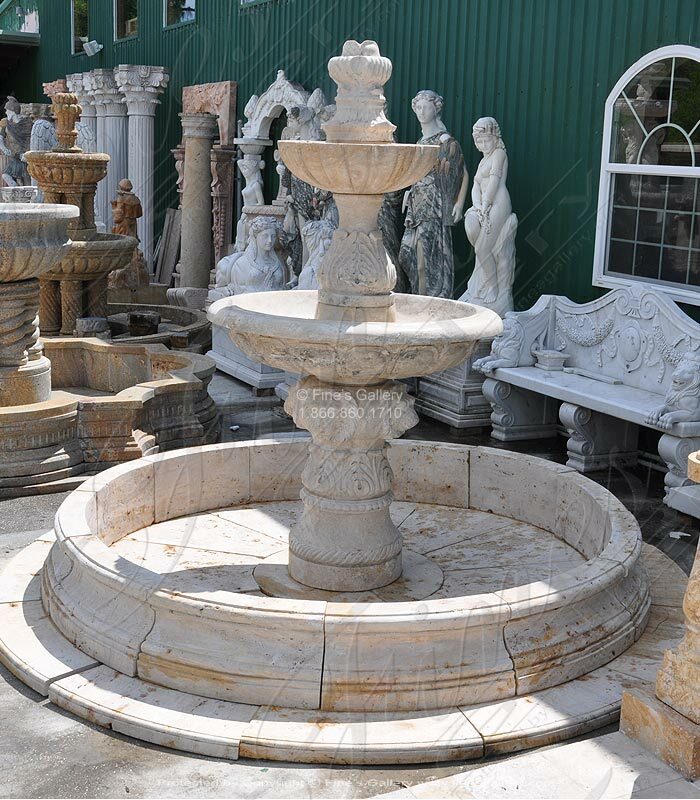 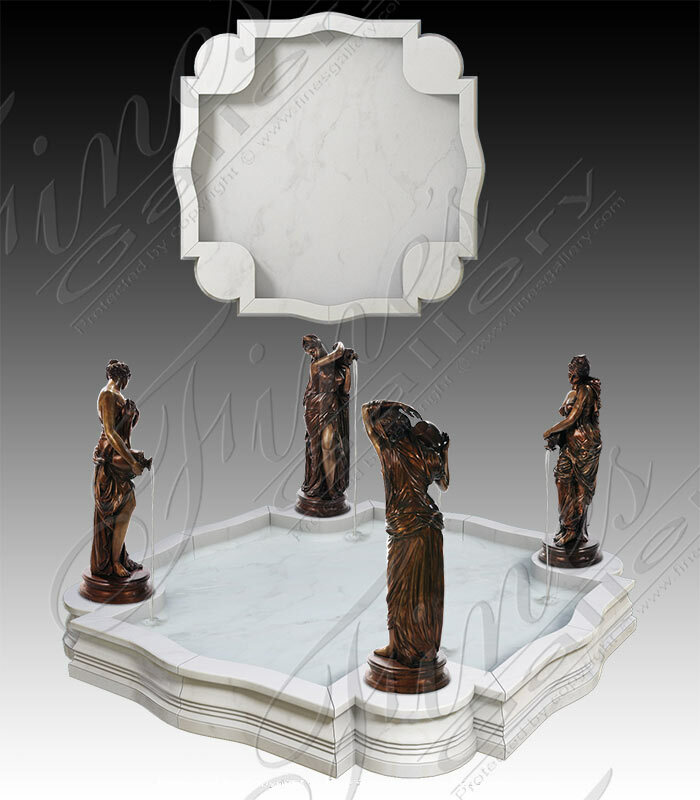 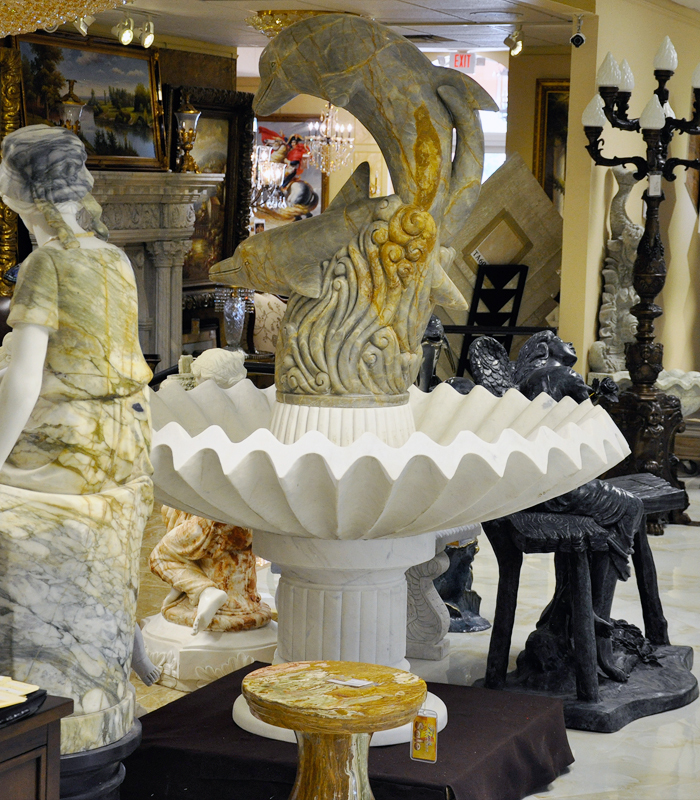 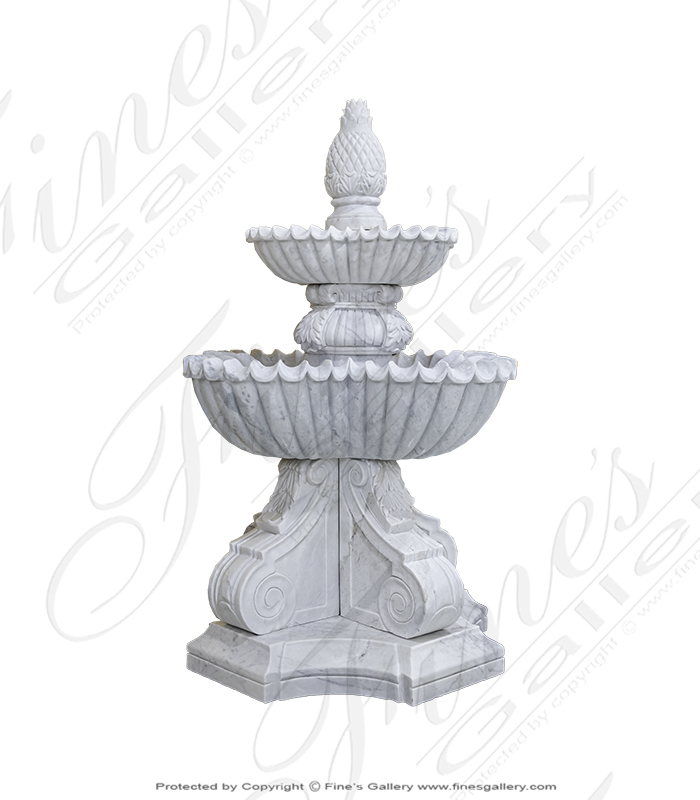 Simplistic White Marble Fountain carved from solid blocks of pure white marble. 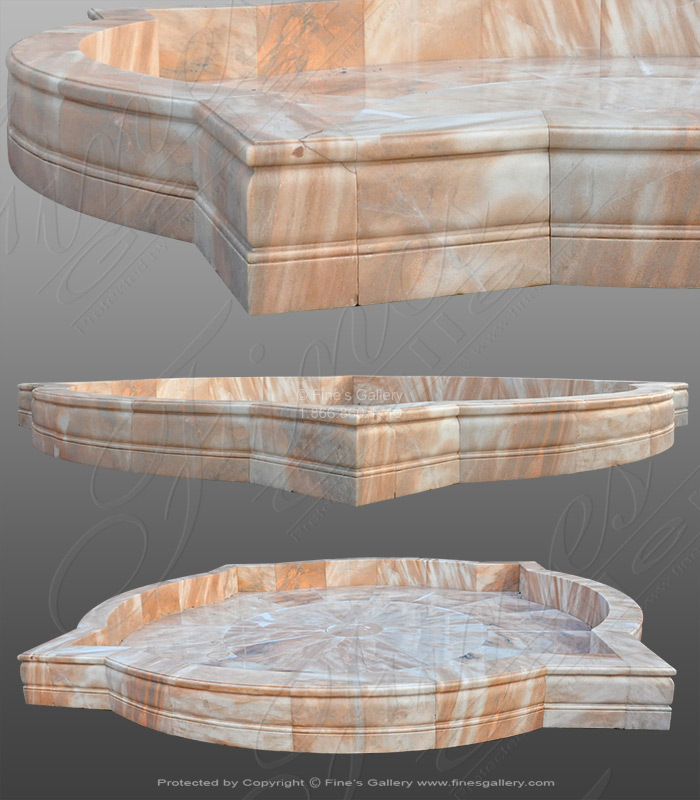 Perfect for transitional or contemporary applications. 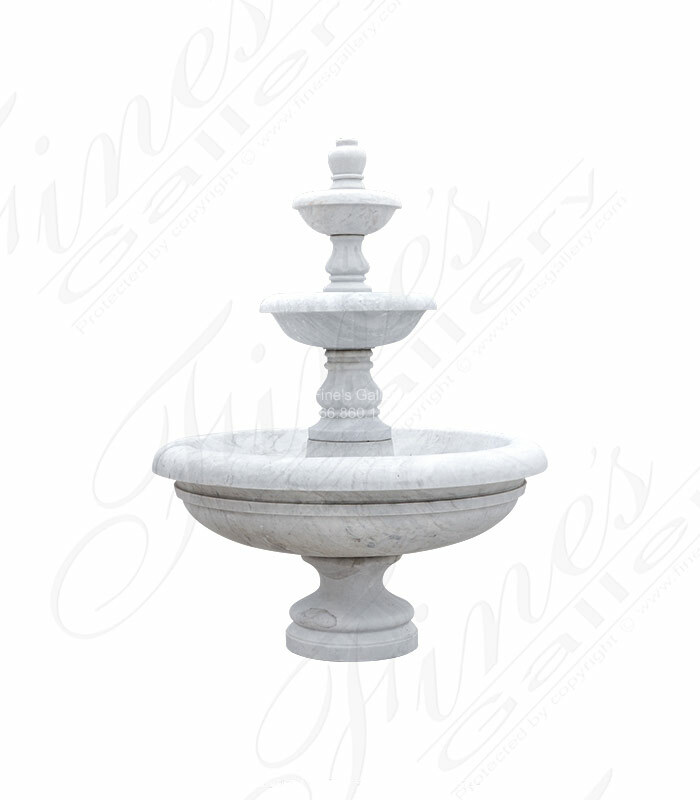 Available in white marble, cream marble, beige marble and gold granite. 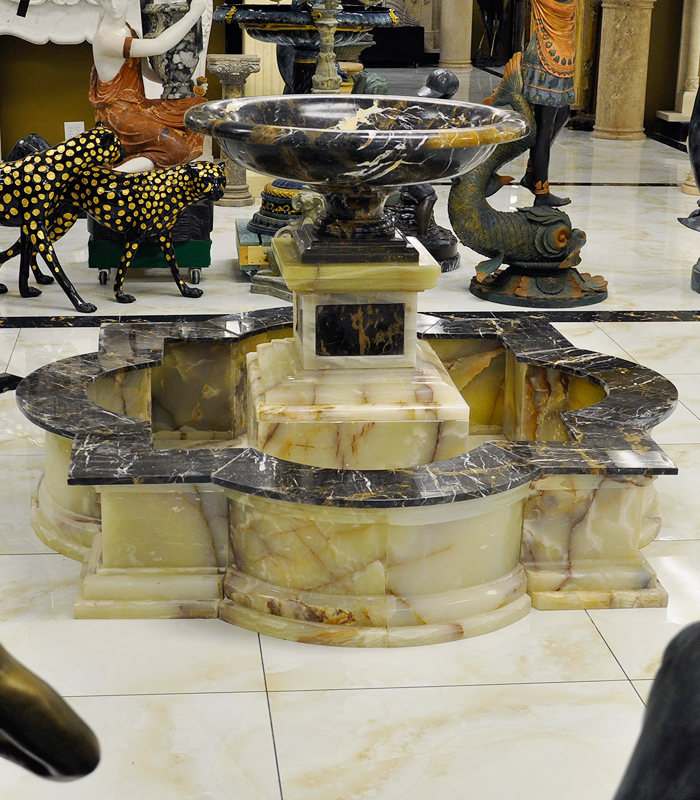 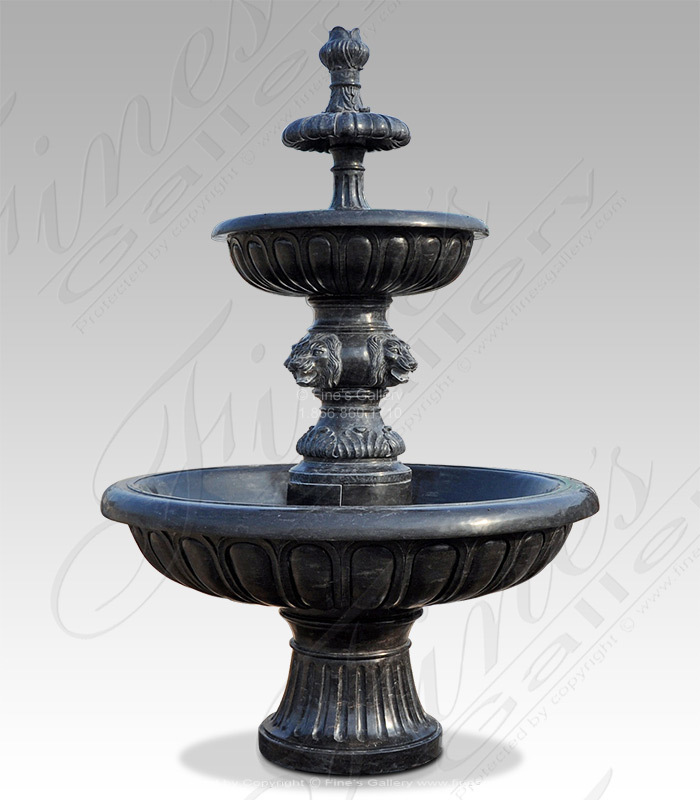 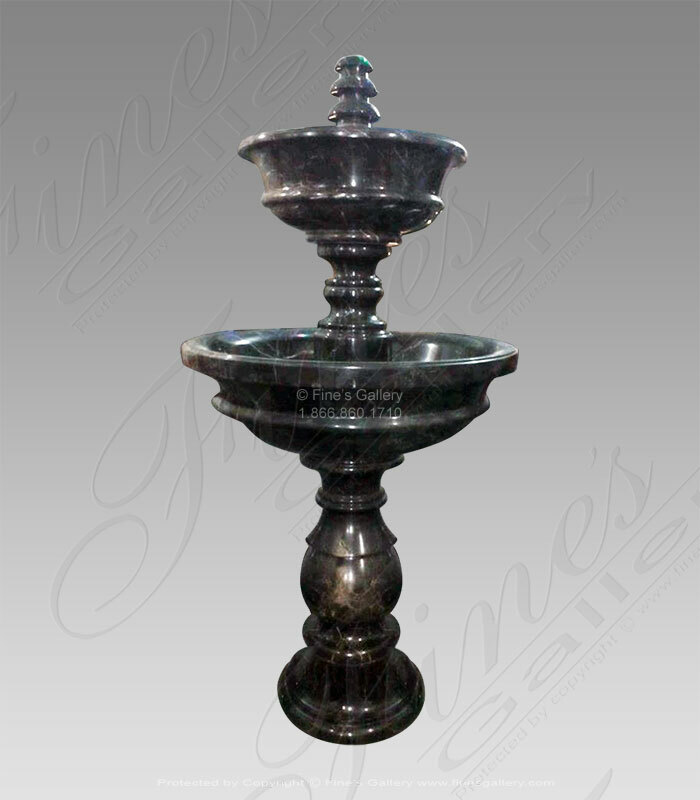 Michelangelo Marble Fountain featuring onyx base. 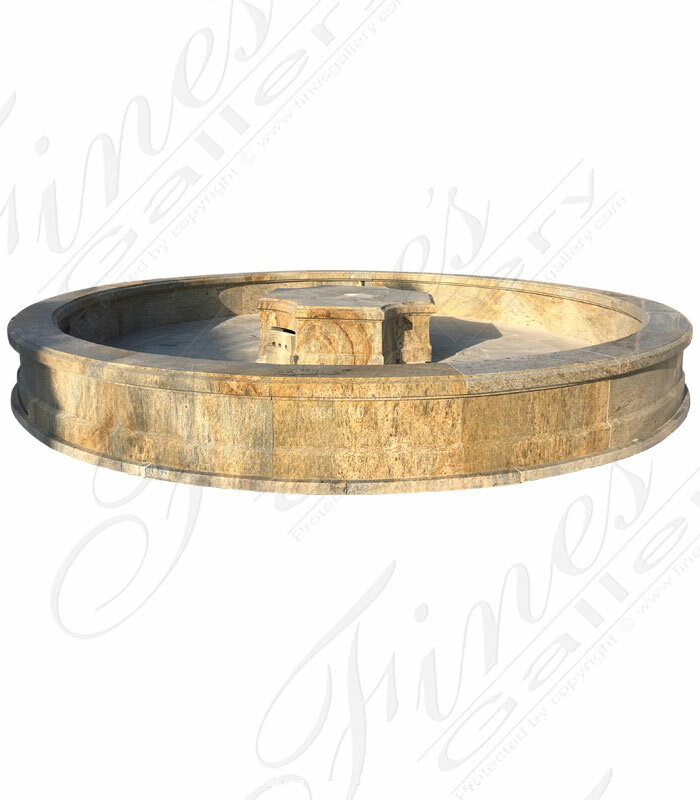 This 8 foot round pool and central one tiered fountain design concept is stunning! 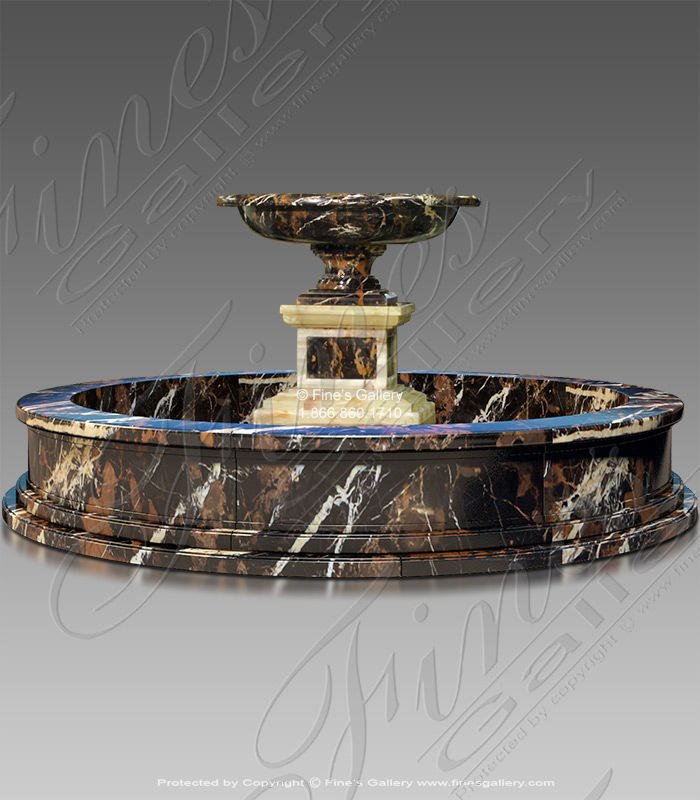 This stunning polished marble fountain is available in black, white, cream or any of our other beautiful natural marble or granite options. 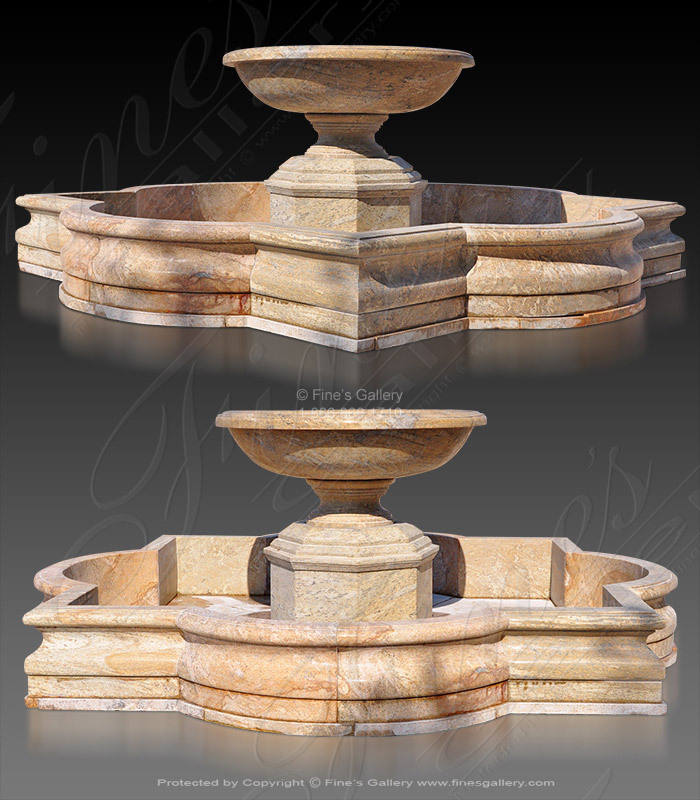 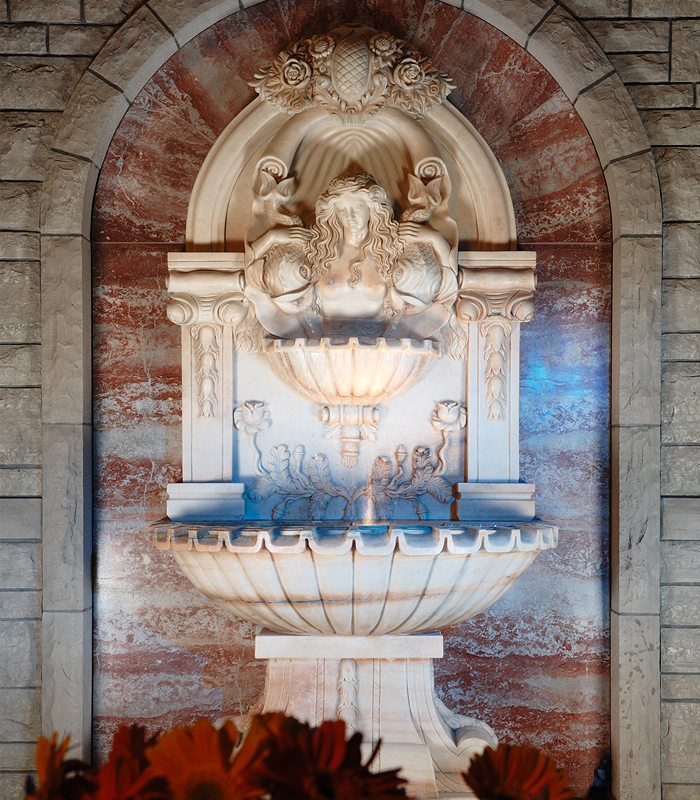 Antique Style Travertine Fountain featuring majestic carved marble lion heads and a fluer de lis finial. 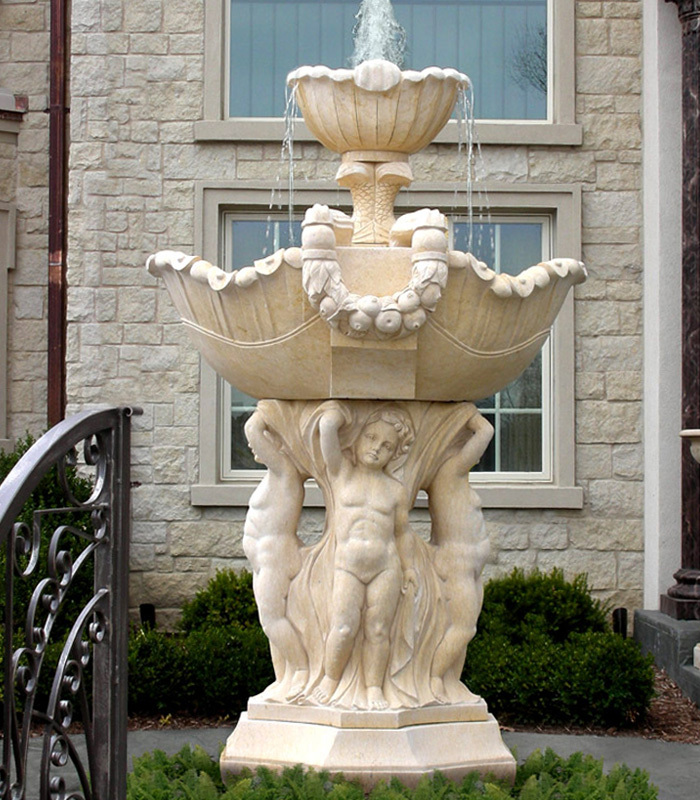 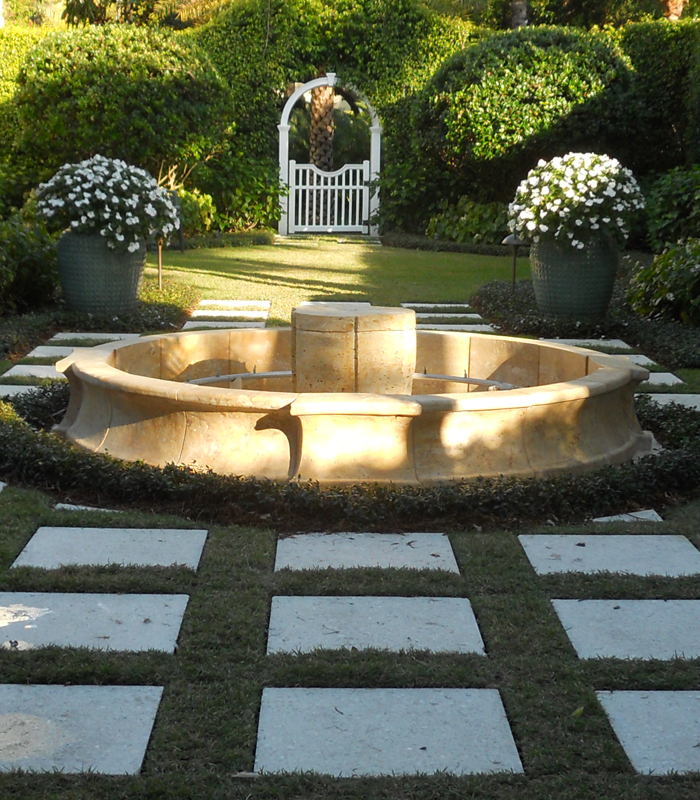 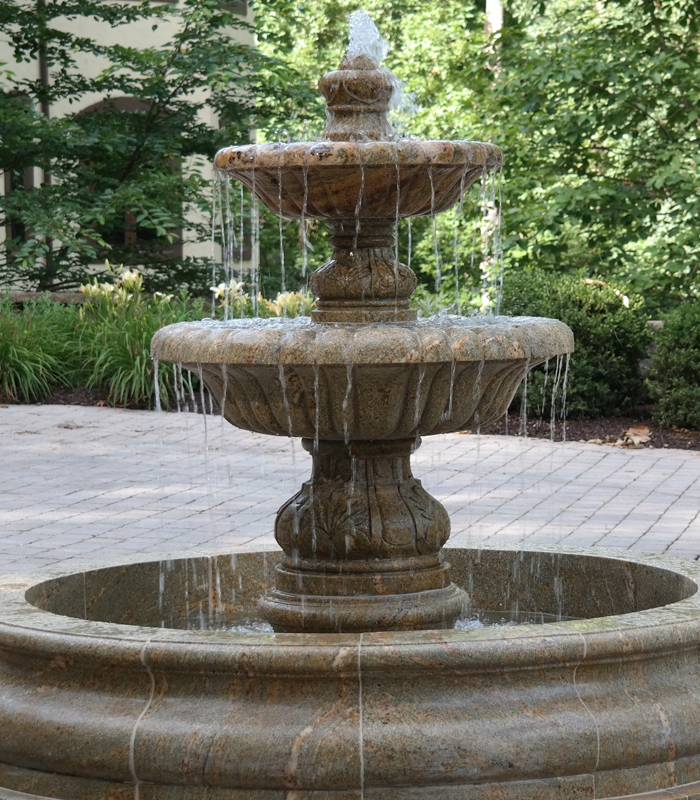 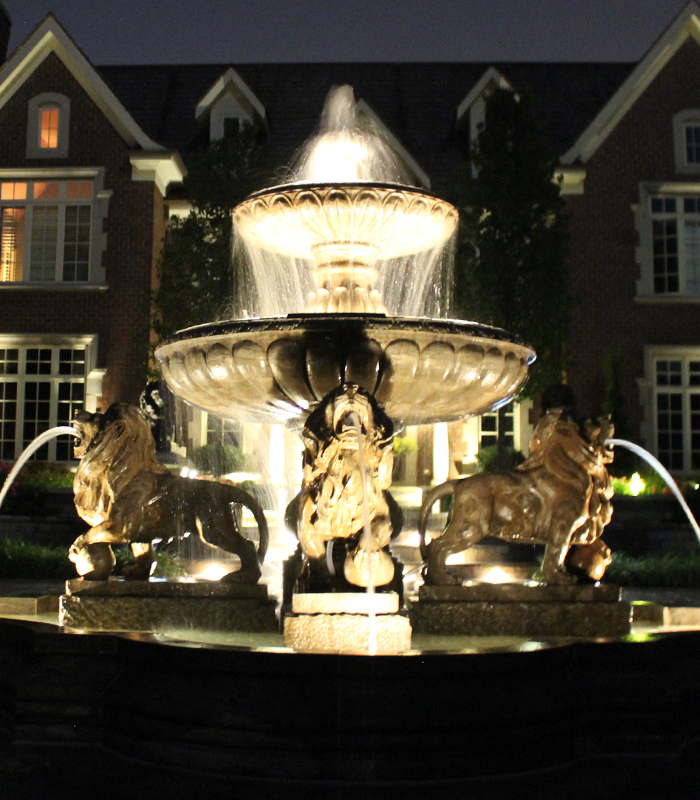 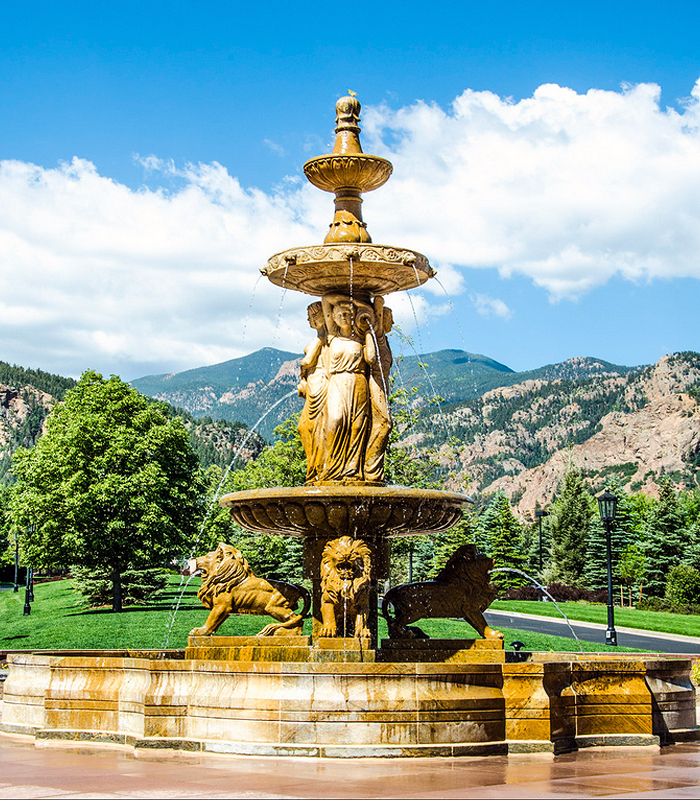 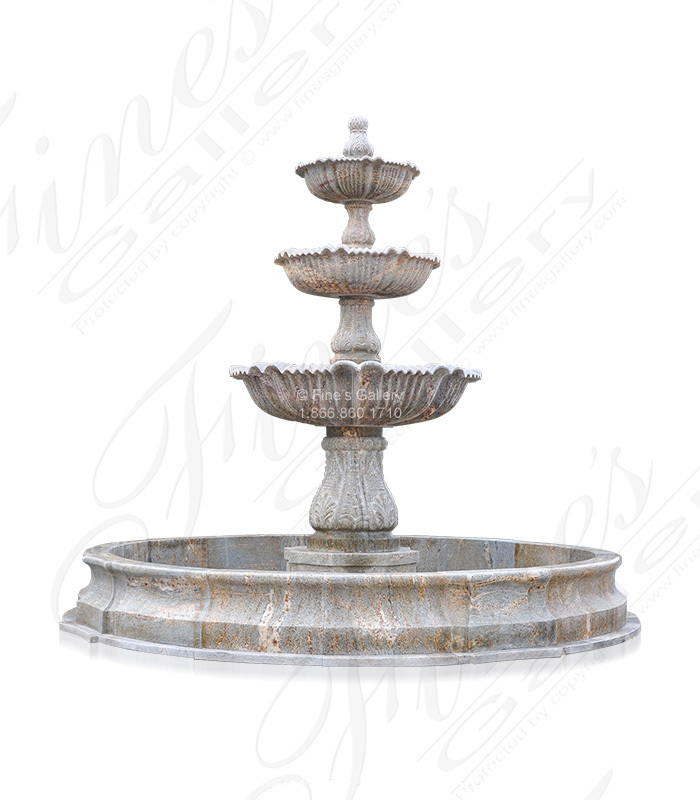 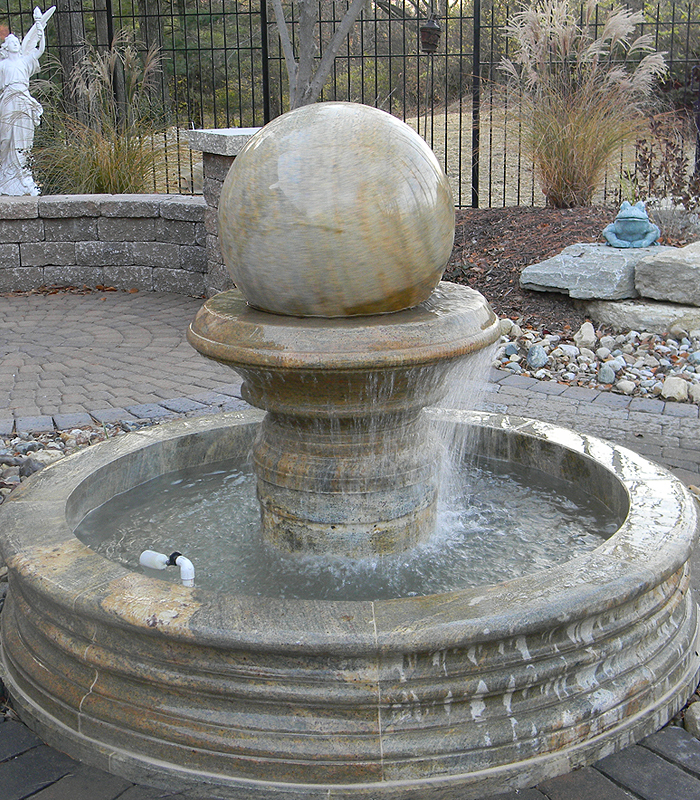 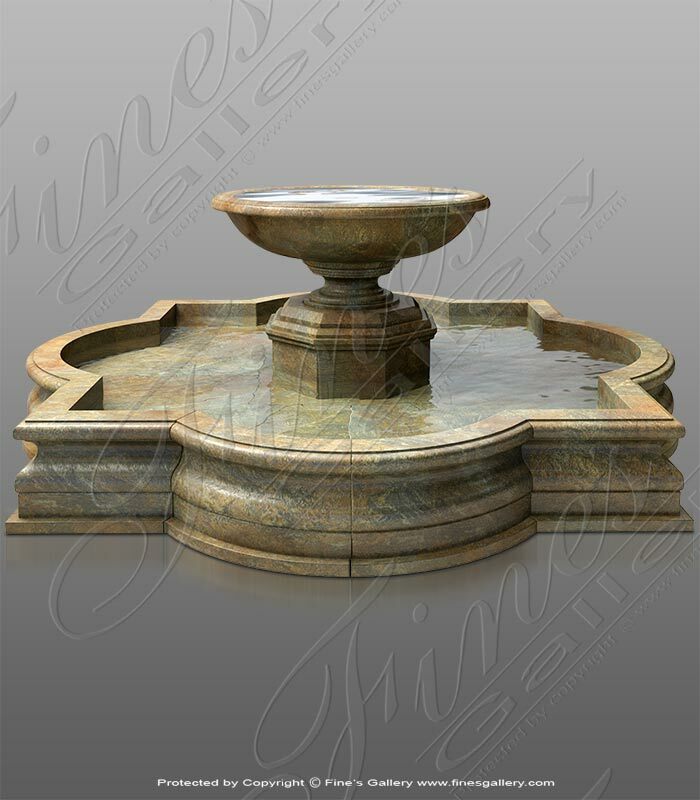 Enhance your estate with this magnificent water feature. 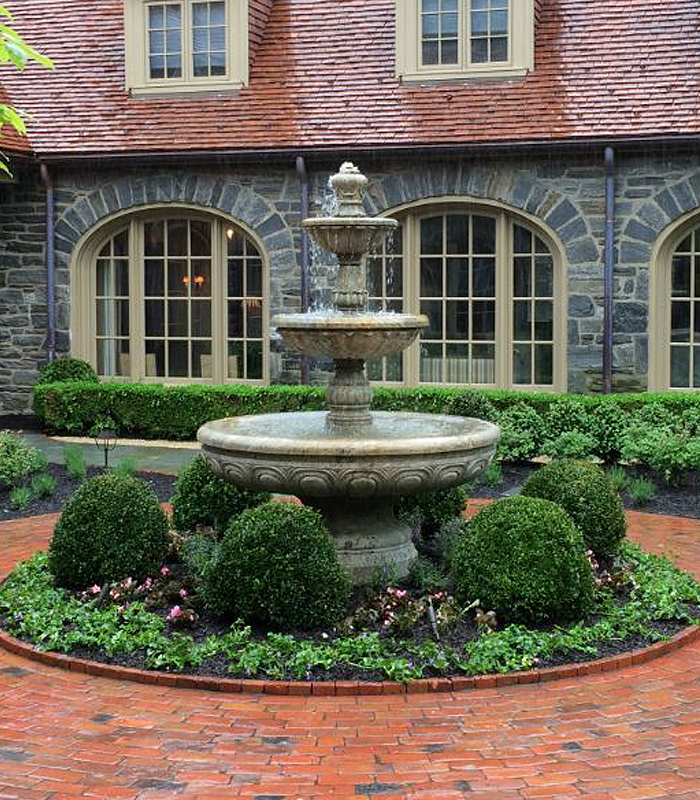 Commonly added to a circle driveway motor court application.